This is another bag and shoe brand. And yes, we love them just as much as we do the others. This is so you are spoilt for choice, and you have every type of style, because god knows we can’t have enough bags. 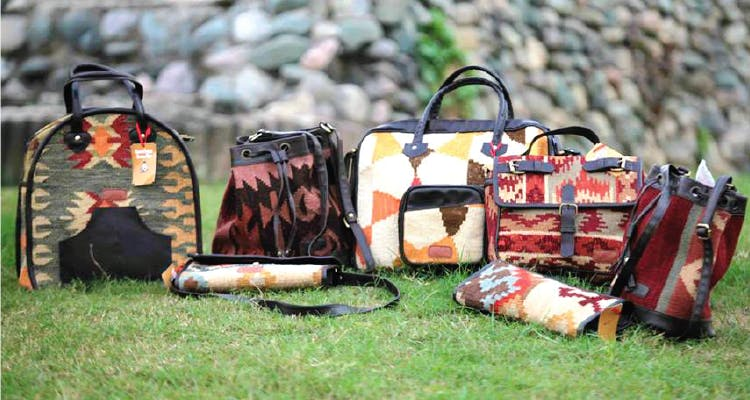 Offering a unique mix of traditional craftsmanship, design and novel concepts, Boriya Basta specializes in Kilim bags, cushion covers, floor cushions, and a collection of jutti inspired flats. Think earthy colour palettes and almost aztec prints, finished with leather detailing, available as cross-body bags, slings, totes, make-up and toilet kits, bowling and bucket bags, and regular-sized ladies purses. As for shoes, besides the juttis, you’ll also find open toed sandals, in case the feet need breathing room. Lo and behold, we’ve spoken enough, let the images speak for themselves. Where: Bags available at Timri, House no. 3353, 5th cross, 12th A Main, HAL 2nd stage, Indiranagar; footwear available at Collage, 21/1 Wood Street, opp. Brigade Tower, Ashoknagar. You can also find some of their products online here, here and here.